When she isn't directing, Sarah’s role as Creative Director at Monster & Bear has her overseeing the overall vision of all Monster & Bear films. One of three company directors, Sarah is heavily involved in the nurturing and meticulous thought process behind a visual concept. She has one overarching philosophy. Every detail matters. When a brief comes through the door, Sarah is always the first to dive into market research, and exploring the absolute limits of what is possible within a project’s scope. 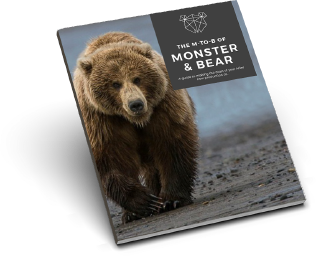 With the key messages and intent behind a piece in mind, Sarah prides herself on ensuring all projects with the Monster & Bear stamp can be something that both the production team and client can be collectively be proud of. Happiest when outside comfort zone. Has walked from Melbourne to Adelaide.